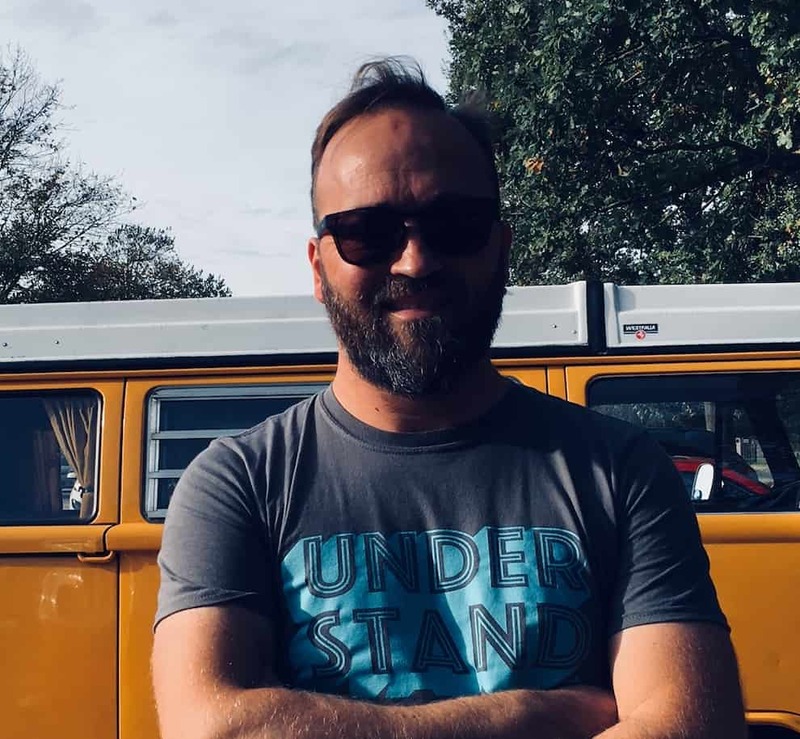 Whether you’ve been playing the acoustic violin for a while and have just become tempted to add an electric to your collection, or you’re going electric for your first fiddle, the internet can be an overwhelming place to shop. 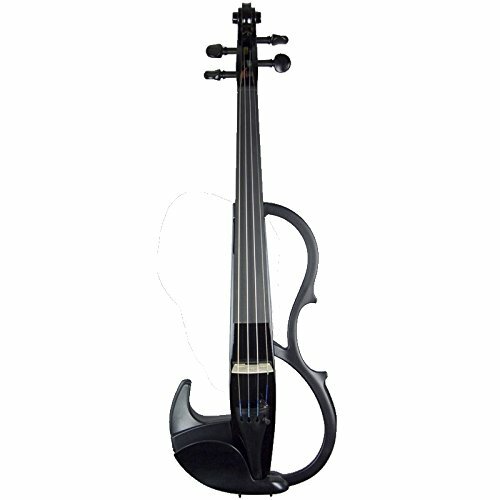 Below are the five best electric violins for beginners, considering quality of materials, controllability, value for money and longevity. <Note: The links above take you to more information, current prices and customer reviews on Amazon. The popular Ammoon is budget-friendly and fun to play. It doesn’t come set up but it’s easy to do so, or you can as a professional to do it for you. 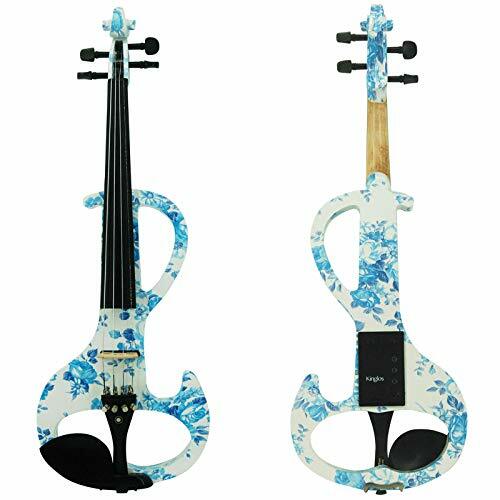 It has a sturdy feel and its full-size shape means that holding it will be similar to holding an acoustic violin. There are also fine tuners to enable you to easily make small adjustments to tuning. There are multiple outputs and a headphone socket, so you can have an affected channel and a clean channel if you wish – great for recording. There are also tone controls to enable you to get the sound which suits your style. This violin has an ebony fingerboard and fittings and comes with a brazilwood bow, as well as a tuner, headphones, spare strings and bridge and a case. It’s also available in a variety of colors. This violin is powered by a 9v battery. The visually stunning Kinglos will certainly make you stand out from the crowd. Available in a wide variety of flowery finishes, you can take your pick! Like the Ammoon, it is suitable for those on a budget, and there are multiple outputs and tone knobs, giving it fantastic controllability. It has a sturdy, hand-carved and solid spruce body and an ebony fingerboard and fittings. There are fine tuners, and the violin comes with a bow, case, strings, rosin, a spare bridge and a shoulder rest. The violin is powered by a 9v battery. This violin is really something special! 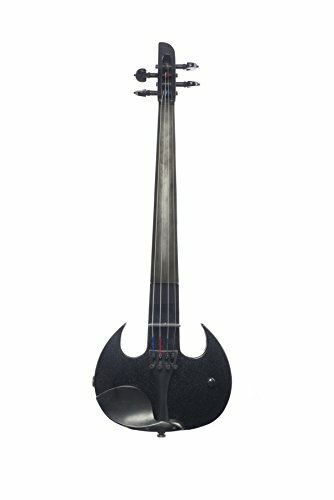 The unusual, ax-like shape may not appeal to everybody, but if you’re a fan of Mark Wood then this is the one for you! There is an ebony fingerboard and fittings, and a high-quality Tru-Tone pickup for superior clarity. 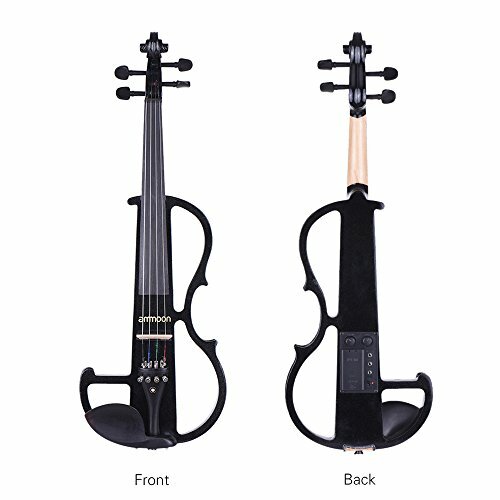 Significantly, this violin does not require a battery! Making it even more appropriate for those who wish to perform live or play for long periods. It’s not quite as budget-friendly as the previous two violins but if you want to spend a bit more and love the original shape, it’s an instrument that promises to not let you down. The Yamaha SV2000 is of supreme quality. It has a maple neck, spruce body and the fingerboard and all fittings are ebony. There are built-in EQ settings which you can switch between, or you can create your own. There are also multiple lines out, again allowing you to have a variety of signals when recording, performing or even practicing. 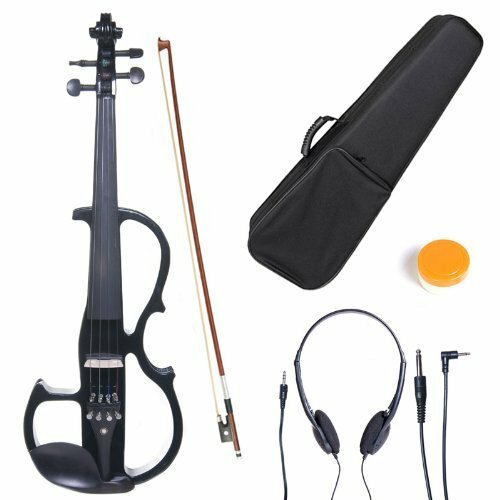 It’s more for the kind of beginner who sees themselves as a serious player in the future, as this violin is quite expensive but will last you a lifetime. Accessories come separately, which allows you to take your pick when it comes to bow, case, rosin and spares. To end on another budget-friendly one, the Cecilio is extremely popular amongst beginners. It has a hand-carved, solid maple body and an ebony fingerboard and fittings. There are multiple outputs and volume and tone controls, and there’s a brazilwood bow included! There’s also a case, rosin, strings, headphones and everything you need to get started playing included in the set. The violin is powered using a 9v battery, which, in this case, is included! All of the violins have some exceptional pros. However, if you’re looking for high-quality woods, controllability and a budget-friendly buy, the Ammoon F​​​​ull Size 4/4 takes first place for us. The multiple outputs, the sturdiness of build and shape and ease of use makes this instrument the perfect first e-violin, and it has the added bonus of coming with everything you need to start playing! It’s available in a variety of colors, and even has a brazilwood bow included. All you need to get separately is a 9v battery and an amp (or you can play through the headphones included), and you’re away.